Closeoption has a lot of free contests and gives customers a lot of prizes in cash without any terms and conditions. Moreover, our platform is different from other platforms and it is all reserved by CloseOption. The customers are felt well with working with our platform. If you deposit, you will receive 30% of your deposit amount. Your prize is withdrawable only when you have a trading transaction, 20 times of your deposit amount. 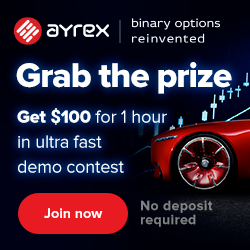 it means that if you deposit $100 your trading volume must be $2000. You can trade on your prize balance exactly like your real balance, however it is when your Real balance has become Zero. 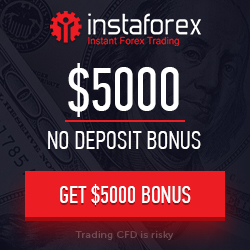 Until this bonus is active on CloseOption, you can receive 30% bonus per each deposit you make and there is no limit to the number of deposits. When you deposit and receive your prize, there are no restrictions for withdrawing your main money and you are able to withdraw your deposit money at any time. So you do not have any limitations for withdrawal and deposit. But the conditions for receiving the prize is dependent on these deposits, withdrawals or volume tradings. Before releasing the prize, if you withdraw an amount of money from your Real account, your bonus balance also will be reduced relatively. For example, if you deposit 100$ and get 30$ so now before releasing this 30$, if you want to withdraw 10$ out of 100$, 3$ will be reduced from your bonus. So until releasing the bonus, try to avoid withdrawing, in order to get the whole prize. When you deposit and an amount is added to your bonus account, you have to change this amount of money to Real money in a specific period of time (which is determined on promotions page). After a while, If your trading volume does not reach our specific amount, your bonus will be lost. If you deposit again, the time duration for releasing another bonus will be reset. For example, if you have 30$ in your account and you have one day left to change it to Real and if you deposit $100 again (for avoiding the prize to be expired) so your bonus account will increase from 30$ to 60$ and the time for releasing the bonus (expiration date) will be extended for another period.